Last weekend Ariel gave the kids goody bags for participating in her wedding. 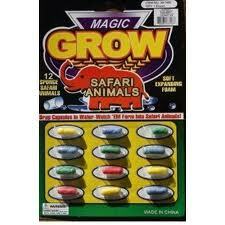 One of things they got were those little capsules that turn into sponge creatures when you put them in water. They put them in the bathtub the next day and have been playing with them steadily ever since. This morning Henry woke up early and climbed into the shower with me. He knocked over the cup with the sponges in it and proceeded to crouch in the corner of the shower and play with the animals. HC: Mommy, what's this one called again? 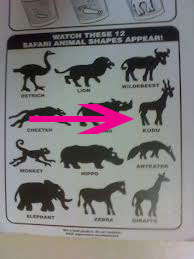 Me: It's an antelope, honey. HC: Look, Mommy! There's another cantaloupe! !